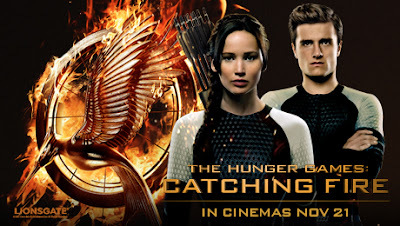 "We are offering every one who pre-books their Hunger Games: Catching Fire tickets online with ODEON the chance to win from a holiday to Hawaii, signed soundtracks and posters and more! All you have to do for your chance to win is book your tickets online before the film is released on November 21st!" Some really great prizes on offer here. Who DOESN'T want to go to Hawaii?! This contest runs until the movie is released on Nov. 21st. View the full details and terms and conditions here, and click here to head over to the booking form. "We’ve teamed up with our friends at Lionsgate to offer a weekly prize of an iPad and Catching Fire goody bag for all those who book online for the film. Each week, one lucky winner will be entered in to a draw for the chance to win!" There will a be a new winner EVERY WEEK until Nov. 28th! Click here for full terms. Tickets are still available to be purchased through Lionsgate UK's official site. Also, Vue are offering a great chance to see The Hunger Games on the big screen again, in their special one-off double feature! Click here for more details and to book tickets. So basically, it's totally worth buying your Catching Fire tickets in advance! Be sure to purchase them online, or grab them in person from your local cinema. Share pictures of your tickets using #CatchingFireTickets.